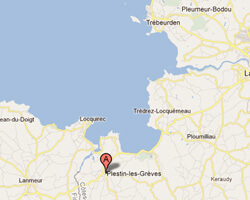 Plestin-les-Grèves is located on the north coast of Brittany. It takes its name from its large bay 4 km wide, called "Lieue de Grève". At the seaside you can find rocky coves and sandy beaches, particularly on the Plestin headland. It is a wild and unfrequented place for nature lovers. 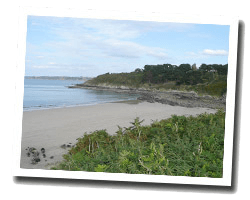 In Plestin-les-Grèves enjoy a seaview holiday rental. This seaside resort is located on Locquirec Bay, on the Bruyeres coastline. Just 200 metres from the beach, it offers apartments with free Wi-Fi and an indoor swimming pool and a hammam. 2 Bedroom(s), 3 double bed(s). short stays possibility. Final cleaning : 40 €.